The location was absolutely perfect, just next to the beach. This was the perfect appartment for the family, cosy and comfortable with all the needed kitchen equipment. We even had a free wine bottle on arrival. We had a short stay, but definitely would stay longer. Very pretty accommodation, with everything we needed (except washing machine, but that's ok). Beach is literally 2 minutes walk, would recommend Bistro Bel restaurant in 5 min walk (paella was amazing). Also thanks for a complimentary bottle of champagne:) was delightful and on point after a intense day trip. We asked for an airport transfer both ways - 80€ one way, so additionally thanks for that. Apartments are located in nice quiet area surrounded by channels which are very nice depite the odor sometimes in the night. It is easy to park the car near apartments. Apartments complex is quite new and nice looking, there is a small pool with a number of sunbeds where you can always find the spot. Very good idea of having a box with beach stuff that people share once departing. Beach is wonderful, a lot of places to eat nearby and supermarkets all over the place. Excellent staff, excellent location, excellent facilities. Near the beach and near the shops and restaurants. The location to the beach, restaurants and shops. Facilities in the apartment were excellent. The staff were very friendly and helpful. 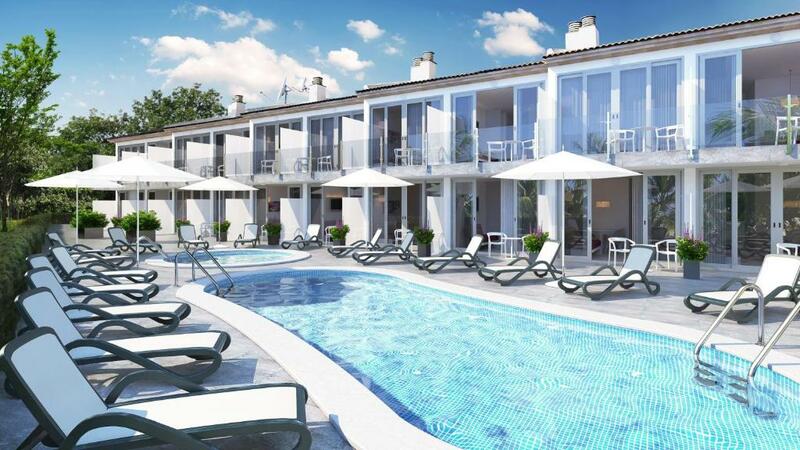 Ideal for families with children as the two pools were very close to all apartments. Cleanness, location (beach just around the corner). 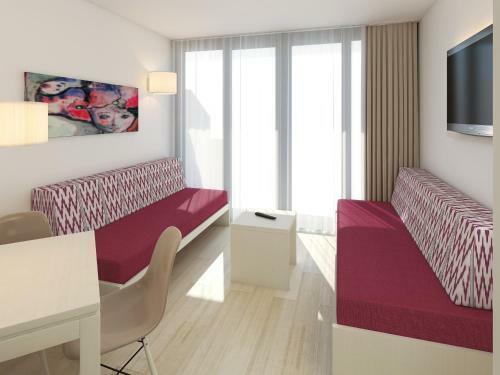 The location of the appartement is perfect: just 3min to the beach. And this is the place where the long promenad to the Aludia Port starts (to the left) a good place for evening walk (suitable for strollers). If you go to the righ - you'll shortly arrive to the Playa de Muro beach with pine trees. 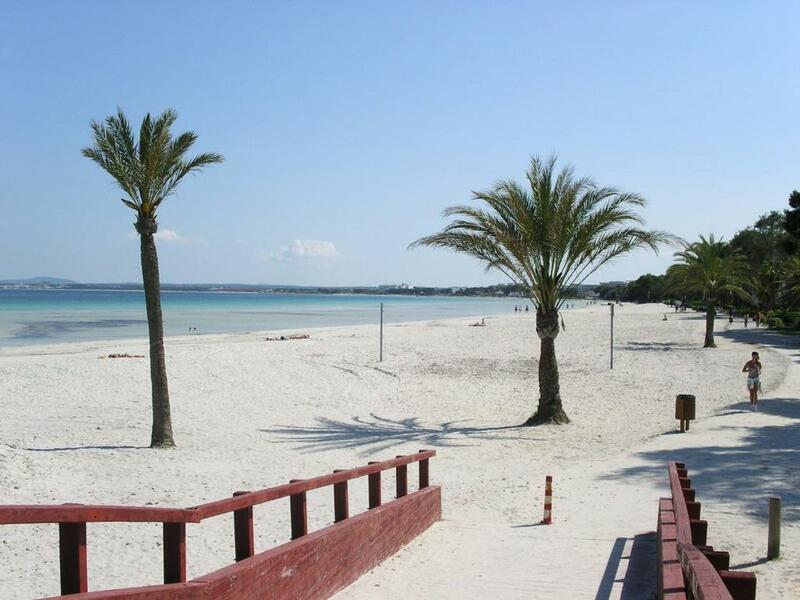 Or just stay on Alcudia beach - it is also clean, white and wide. There are shops nearby where one can buy fresh baguettes in the morning. Also we did not face problems with car parking - there was plenty of space nearby. And visit Alcudia market for fruits and vegetables - just 10-15min drive. I especially loved birds singing on Mallorca - everywhere you hear them, even in the Palma aeroport parking! Ses Dalies was the best choice for our holidays in Mallorca! Everything was perfect and align with photos and description on booking.com. Apartment was very nice, comfortable and clean. Location near the beach was great and peaceful neighbourhood ensured us undisturbed and succsessful holidays :) We will definitely come back to the Ses Dalies at the nearest opportunity!! Lock in a great price for Apartamentos Ses Dalies – rated 8.9 by recent guests! Apartamentos Ses Dalies This rating is a reflection of how the property compares to the industry standard when it comes to price, facilities and services available. It's based on a self-evaluation by the property. Use this rating to help choose your stay! One of our best sellers in Port d'Alcudia! 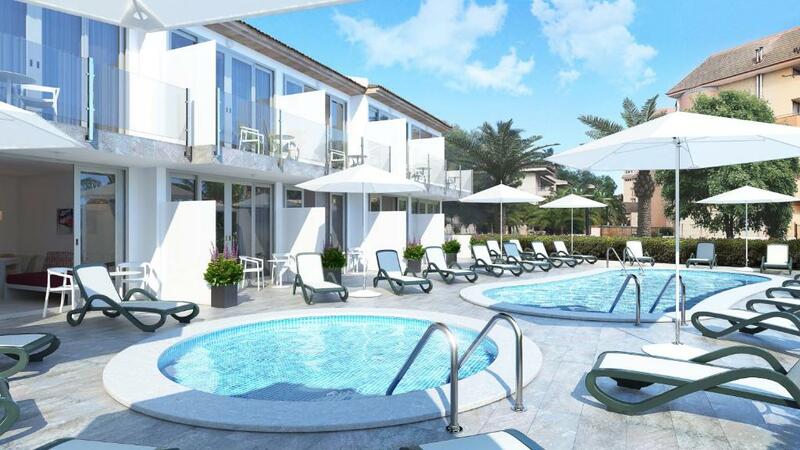 This complex is in a quiet area just 150 feet from Alcudia Beach. All 20 apartments have a balcony or terrace and views of the gardens. The Ses Dalies complex has a large terrace with free sun beds and parasols. There is a swimming pool for adults and for children. All apartments have a microwave and refrigerator. There are also tea and coffee making facilities. Heating and air conditioning are included. Free Wi-Fi is also available. A safe is available for an extra cost. There are many supermarkets, bars and restaurants nearby, and tennis courts can be found 1,000 feet away. 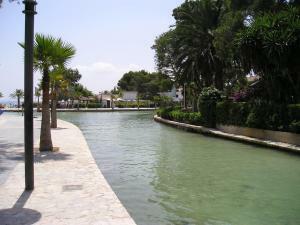 Apartamentos Ses Dalies is within 2.5 mi of Alcanada Golf Course and there is a water park 1.2 mi away. This property also has one of the top-rated locations in Port d'Alcudia! Guests are happier about it compared to other properties in the area. 뀐 Located in the top-rated area in Port d'Alcudia, this property has an excellent location score of 9.2! 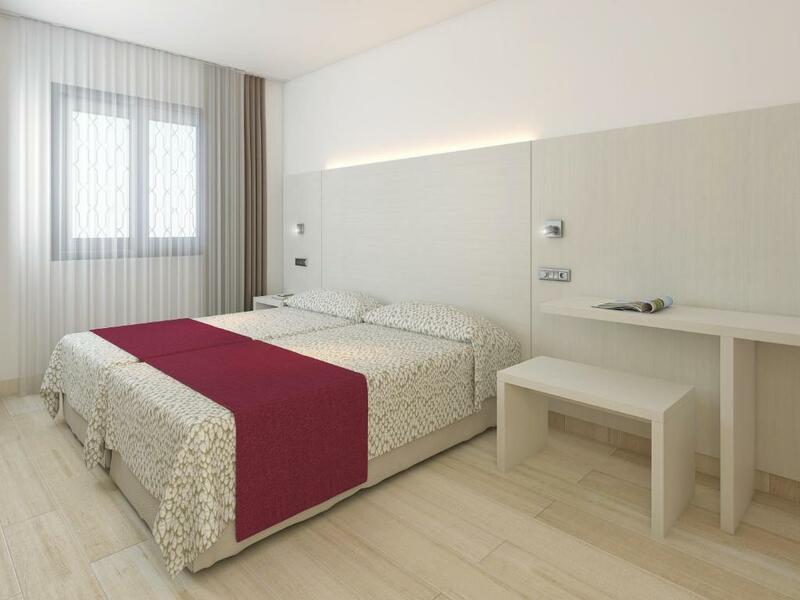 When would you like to stay at Apartamentos Ses Dalies? The hotel considers children of the same family up to the age of 18 years. We like to attend our guests personally, family business !!! Quiet area, easy parking !!! 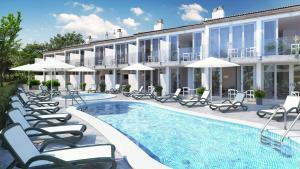 House Rules Apartamentos Ses Dalies takes special requests – add in the next step! Apartamentos Ses Dalies accepts these cards and reserves the right to temporarily hold an amount prior to arrival. 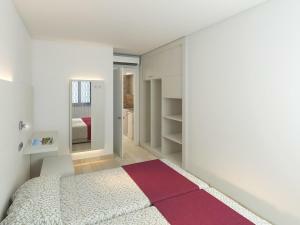 Bed linen and towels are provided in the apartment. There is maid service 4 times a week. Please let the property know the number of children and adults on the reservation. Please let Apartamentos Ses Dalies know your expected arrival time in advance. You can use the Special Requests box when booking or contact the property. Please inform Apartamentos Ses Dalies of your expected arrival time in advance. You can use the Special Requests box when booking, or contact the property directly using the contact details in your confirmation. Ses Dalies is a great self-catering apartment and we had a very comfortable stay. When we arrived Mateu was waiting for us in the reception and handed over the keys. The apartment was ideal for us, 2 Adults with a 7-month-old baby. We were supplied, on request, with a baby cot and high chair. The kitchen is basic equip, however, we've managed to cook delicious dinners and breakfasts for our selves. Shops are within walking distance. Beds were very comfy and soft, with enough linen supplied. The bathroom is a good size and has a nice decent shower. An iron was also supplied on request. The apartment was cleaned every other day. Our balcony overlooked the swimming pool area, there were other people using the swimming pool area but it wasn't noisy or a distraction at all. The apartment is about 2/3min walk from the beach. We had a hire car and it was easy to find parking in front of the building every time and free of course. Overall lovely stay at Ses Dalies and would certainly think of going back there again should we visit Alcudia again. Muchas Gracias Mateu and Caty. In bathroom a shower didn't have door, just a glass half-wall, so every time water got all over the bathroom floor and we had nothing to clean it up with. Location close to the beach, nice and clean. Despite the complex is new the apartments are quite dirty i.e. cleaning quality is not at the sufficient level for both room and the towels (on the photos). Air conditioning units haven't been cleaned for ages, you can always smell them when they are on. Kitchen equipment is in poor condition, especially coffee maker. This was the first time during our travels when the additional bed was not done during arrival and all the times it was changed it was left undone, you bascially have to do it yourself. If you plan to stay with three people bear in mind that the room is small and you can hardly find the spot for 3 suitcases. The safe is not free of charge which is ridiculous bearing in mind the cost of the apartments. The price was a bit to much. Very clean and tidy. Comfy beds. Nice relaxing place. Lovely beaches. Mosquitos (just one mosquito per night though =)). Probably, lack of privacy for the ground floor.